Rehabilitation of a portion of Johnson Creek, to restore bioswale and flood control functions of the land which had long been converted to pasture for cow grazing. The horizontal logs can float, but are anchored by the posts. Just-planted trees will eventually stabilize the soil. The fallen trees with roots jutting into the stream are intended to enhance wildlife habitat. The meandering of the stream is enhanced here by a factor of about three times, perhaps to its original course. Restoration ecology emerged as a separate field in ecology in the late twentieth century. The term was coined by John Aber and William Jordan III when they were at the University of Wisconsin–Madison. However, indigenous peoples, land managers, stewards, and laypeople have been practicing ecological restoration or ecological management for thousands of years. Considered the birthplace of modern ecological restoration, the first tallgrass prairie restoration was the 1936 Curtis Prairie at the University of Wisconsin–Madison Arboretum. Civilian Conservation Corps workers replanted nearby prairie species onto a former horse pasture, overseen by university faculty including renowned ecologist Aldo Leopold, botanist Theodore Sperry, mycologist Henry C. Greene, and plant ecologist John T. Curtis. Curtis and his graduate students surveyed the whole of Wisconsin, documenting native species communities and creating the first species lists for tallgrass restorations. Existing prairie remnants, such as locations within pioneer cemeteries and railroad rights-of-way, were located and inventoried by Curtis and his team. The UW Arboretum was the center of tallgrass prairie research through the first half of the 20th century, with the development of the nearby Greene Prairie, Aldo Leopold Shack and Farm, and pioneering techniques like prescribed burning. Australia has also been the site of historically significant ecological restoration projects. 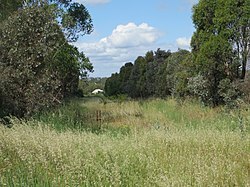 In 1935 Ambrose Crawford commenced restoring a degraded four acres (1.7 hectares) patch of the Big Scrub (Lowland Tropical Rainforest) at Lumley Park reserve, Alstonville, in northern New South Wales. Clearing of weeds and planting of suitable indigenous flora species were his main restoration techniques. The restored rainforest reserve still exists today and is home to threatened plant and animal species. In 1936 Albert Morris and his restoration colleagues initiated the Broken Hill regeneration area project, which involved the natural regeneration of indigenous flora on a severely degraded site of hundreds of hectares in arid western New South Wales. Completed in 1958, the successful project still maintains ecological function today as the Broken Hill Regeneration Area. Ecological succession is the process by which a community changes over time, especially following a disturbance. In many instances, an ecosystem will change from a simple level of organization with a few dominant pioneer species to an increasingly complex community with many interdependent species. Restoration often consists of initiating, assisting, or accelerating ecological successional processes, depending on the severity of the disturbance. Following mild to moderate natural and anthropogenic disturbances, restoration in these systems involves hastening natural successional trajectories through careful management. However, in a system that has experienced a more severe disturbance (such as in urban ecosystems), restoration may require intensive efforts to recreate environmental conditions that favor natural successional processes. Ecosystem function describes the most basic and essential foundational processes of any natural systems, including nutrient cycles and energy fluxes. An understanding of the complexity of these ecosystem functions is necessary to address any ecological processes that may be degraded. Ecosystem functions are emergent properties of the system as a whole, thus monitoring and management are crucial for the long-term stability of ecosystems. A fully functional ecosystem that is completely self-perpetuating is the ultimate goal of restorative efforts. We must understand what ecosystem properties influence others to restore desired functions and reach this goal. Restoration is used as a tool for reducing the spread of invasive plant species in a number of ways. The first method views restoration primarily as a means to reduce the presence of invasive species and limit their spread. As this approach emphasizes control of invaders, the restoration techniques can differ from typical restoration projects. The goal of such projects is not necessarily to restore an entire ecosystem or habitat. These projects frequently use lower diversity mixes of aggressive native species seeded at high density. They are not always actively managed following seeding. The target areas for this type of restoration are those which are heavily dominated by invasive species. The goals are to first remove the species and then in so doing, reduce the number of invasive seeds being spread to surrounding areas. An example of this is through use of biological control agents (such as herbivorous insects) which suppress invasive weed species while restoration practitioners concurrently seed in native plant species that take advantage of the freed resources. These approaches have been shown to be effective in reducing weeds, although it is not always a sustainable solution long term without additional weed control, such as mowing, or re-seeding. There exist considerable differences of opinion in how to set restoration goals and how to define their success among conservation groups. Some urge active restoration (e.g. eradicating invasive animals to allow the native ones to survive) and others who believe that protected areas should have the bare minimum of human interference, such as rewilding. Ecosystem restoration has generated controversy. Skeptics doubt that the benefits justify the economic investment or who point to failed restoration projects and question the feasibility of restoration altogether. It can be difficult to set restoration goals, in part because, as Anthony Bradshaw claims, "ecosystems are not static, but in a state of dynamic equilibrium…. [with restoration] we aim [for a] moving target." Some[vague] conservationists argue that, though an ecosystem may not be returned to its original state, the functions of the ecosystem (especially ones that provide services to us) may be more valuable than its current configuration (Bradshaw 1987). One reason to consider ecosystem restoration is to mitigate climate change through activities such as afforestation. Afforestation involves replanting forests, which remove carbon dioxide from the air. Carbon dioxide is a leading cause of global warming (Speth, 2005) and capturing it would help alleviate climate change. Another example of a common driver of restoration projects in the United States is the legal framework of the Clean Water Act, which often requires mitigation for damage inflicted on aquatic systems by development or other activities. Restored prairie at the West Eugene Wetlands in Eugene, Oregon. One of the struggles for both fields is a divide between restoration ecology and ecological restoration in practice. Many restoration practitioners as well as scientists feel that science is not being adequately incorporated into ecological restoration projects. In a 2009 survey of practitioners and scientists, the "science-practice gap" was listed as the second most commonly cited reason limiting the growth of both science and practice of restoration. ^ a b Daily, Gretchen C. (1997). "Ecosystem Services: Benefits Supplied to Human Societies by Natural Ecosystems" (PDF). Issues in Ecology. ^ Costanza, Robert; d'Arge, Ralph; de Groot, Rudolf; Farber, Stephen; Grasso, Monica; Hannon, Bruce; Limburg, Karin; Naeem, Shahid; O'Neill, Robert V. (May 1997). "The value of the world's ecosystem services and natural capital". Nature. 387 (6630): 253–260. doi:10.1038/387253a0. ISSN 0028-0836. ^ Novacek, Michael J.; Cleland, Elsa E. (2001-05-08). "The current biodiversity extinction event: Scenarios for mitigation and recovery". Proceedings of the National Academy of Sciences. 98 (10): 5466–5470. doi:10.1073/pnas.091093698. PMC 33235. PMID 11344295. ^ Pimm, Stuart L.; Russell, Gareth J.; Gittleman, John L.; Brooks, Thomas M. (1995-07-21). "The Future of Biodiversity". Science. 269 (5222): 347–350. doi:10.1126/science.269.5222.347. ISSN 0036-8075. PMID 17841251. ^ Simberloff, Daniel (January 1996). "Lawton, J. H. and May, R. M. (Eds.). Extinction Rates. 1995. Oxford University Press, Oxford. xii + 233 pp. ISBN 0-19-854829. X. Price: f17.95". Journal of Evolutionary Biology. 9 (1): 124–126. doi:10.1046/j.1420-9101.1996.t01-1-9010124.x. ISSN 1010-061X. ^ a b Sciences, National Academy of (1988-01-01). Biodiversity. doi:10.17226/989. ISBN 978-0-309-03739-6. PMID 25032475. ^ Young, T. P.; Petersen, D. A.; Clary, J. J. (2005-04-28). "The ecology of restoration: historical links, emerging issues and unexplored realms". Ecology Letters. 8 (6): 662–673. doi:10.1111/j.1461-0248.2005.00764.x. ISSN 1461-023X. ^ Society for Ecological Restoration International Science & Policy Working Group (2004). "The SER International Primer on Ecological Restoration" (PDF). www.ser.org & Tucson: Society for Ecological Restoration International. ^ O., Wilson, Edward (2010). The diversity of life (1st Harvard University Press paperback ed.). Cambridge, Mass. : Belknap Press of Harvard University Press. ISBN 9780674058170. OCLC 691398594. ^ a b Jordan, III, W. R. (2011). Making Mature Whole: A History of Ecological Restoration. Washington, DC: Island Press. ISBN 9781610910422. OCLC 750183084. ^ Anderson, K. (2005). Tending the Wild: Native American Knowledge and the Management of California's Natural Resources. Berkeley: University of California Press. ISBN 978-0520238565. OCLC 56103978. ^ a b Court, F. E. (2012). Pioneers of Ecological Restoration: The People and Legacy of the University of Wisconsin Arboretum. Madison: University of Wisconsin Press. ISBN 978-0299286637. OCLC 814694131. ^ Curtis, J. T. (1971). The Vegetation of Wisconsin: An Ordination of Plant Communities. Madison: University of Wisconsin Press. ISBN 9780299019433. OCLC 811410421. ^ "Fermilab History & Archives Project: Natural History - Prairie". fnal.gov. Fermilab. Retrieved 2018-08-21. ^ 1955-, Luken, James O. (1990). Directing ecological succession (1st ed.). London: Chapman and Hall. ISBN 978-0412344503. OCLC 21376331. ^ Wallace, K. J.; Laughlin, Daniel C.; Clarkson, Bruce D. (2017). "Exotic weeds and fluctuating microclimate can constrain native plant regeneration in urban forest restoration". Ecological Applications. 27 (4): 1268–1279. doi:10.1002/eap.1520. PMID 28182314. ^ Newmark, William D.; Jenkins, Clinton N.; Pimm, Stuart L.; McNeally, Phoebe B.; Halley, John M. (2017). "Targeted habitat restoration can reduced extinction rates in fragrmented forests". Proceedings of the National Academy of Sciences. 114 (36): 9635–9640. doi:10.1073/pnas.1705834114. PMC 5594666. PMID 28827340. ^ Wallace, K. J.; Laughlin, Daniel C.; Clarkson, Bruce D.; Schipper, Louis A. (2018). "Forest canopy restoration has indirect effects on litter decomposition and no effect on denitrification". Ecosphere. 9 (12): e02534. doi:10.1002/ecs2.2534. ^ 1936-, Douglas, Ian (2014-10-30). Urban ecology : an introduction. James, Philip (Professor of ecology). New York, NY. ISBN 9781136266966. OCLC 894509632. ^ Young, Truman P.; Chase, Jonathan M.; Huddleston, Russell T. (2001). "Community Succession and Assembly: Comparing, Contrasting and Combining Paradigms in the Context of Ecological Restoration". Ecological Restoration. 19 (1): 5–18. doi:10.3368/er.19.1.5. JSTOR 43440887. ^ Hughes, A. Randall; Inouye, Brian D.; Johnson, Marc T. J.; Underwood, Nora; Vellend, Mark (2008-04-08). "Ecological consequences of genetic diversity". Ecology Letters. 11 (6): 609–623. doi:10.1111/j.1461-0248.2008.01179.x. ISSN 1461-023X. PMID 18400018. ^ Montalvo, Arlee M.; Rice, Susan L. Williams; Buchmann, Stephen L.; Cory, Coleen; Handel, Steven N.; Nabhan, Gary P.; Robichaux, Robert H. (December 1997). "Restoration Biolog y: A Population Biolog y Perspective". Restoration Ecology. 5 (4): 277–290. doi:10.1046/j.1526-100x.1997.00542.x. ISSN 1061-2971. ^ Crutsinger, Gregory M.; Collins, Michael D.; Fordyce, James A.; Gompert, Zachariah; Nice, Chris C.; Sanders, Nathan J. (2006-08-18). "Plant Genotypic Diversity Predicts Community Structure and Governs an Ecosystem Process". Science. 313 (5789): 966–968. doi:10.1126/science.1128326. ISSN 0036-8075. PMID 16917062. ^ Baer, Sara G.; Collins, Scott L; Blair, John M.; Knapp, Alan K.; Fiedler, Anna K. (2005). "Soil Heterogeneity Effects on Tallgrass Prairie Community Heterogeneity: An Application of Ecological Theory to Restoration Ecology". Restoration Ecology. 13 (2): 413–424. doi:10.1111/j.1526-100x.2005.00051.x. ISSN 1061-2971. ^ Epanchin-Niell, Rebecca; Englin, Jeffrey; Nalle, Darek (November 2009). "Investing in rangeland restoration in the Arid West, USA: Countering the effects of an invasive weed on the long-term fire cycle". Journal of Environmental Management. 91 (2): 370–379. doi:10.1016/j.jenvman.2009.09.004. PMID 19781845. ^ a b Török, Péter; Miglécz, Tamás; Valkó, Orsolya; Kelemen, András; Deák, Balázs; Lengyel, Szabolcs; Tóthmérész, Béla (January 2012). "Recovery of native grass biodiversity by sowing on former croplands: Is weed suppression a feasible goal for grassland restoration?". Journal for Nature Conservation. 20 (1): 41–48. doi:10.1016/j.jnc.2011.07.006. ^ Brown, Ray; Amacher, Michael (1999). "Selecting Plant Species for Ecological Restoration: a Perspective for Land Managers" (PDF). USDA Forest Service Proceedings RMRS-P-8. Archived from the original (PDF) on 2017-05-05. ^ Wilson, Rob G.; Orloff, Steve B.; Lancaster, Donald L.; Kirby, Donald W.; Carlson, Harry L. (2010). "Integrating Herbicide Use and Perennial Grass Revegetation to Suppress Weeds in Noncrop Areas". Invasive Plant Science and Management. 3 (1): 81–92. doi:10.1614/ipsm-09-008.1. ISSN 1939-7291. ^ a b c d Kettenring, Karin M.; Adams, Carrie Reinhardt (2011-08-01). "Lessons learned from invasive plant control experiments: a systematic review and meta-analysis". Journal of Applied Ecology. 48 (4): 970–979. doi:10.1111/j.1365-2664.2011.01979.x. ISSN 1365-2664. ^ Cutting, K. J.; Hough-Goldstein, J. (2013). "Integration of biological control and native seeding to restore invaded plant communities". Restoration Ecology. 21 (5): 648–655. doi:10.1111/j.1526-100X.2012.00936.x. ^ Dana, Blumenthal; Nicholas, Jordan; Elizabeth, Svenson (2003-03-06). "Weed Control as a Rationale for Restoration: The Example of Tallgrass Prairie". Conservation Ecology. 7 (1). doi:10.5751/ES-00480-070106. hdl:10535/3228. ISSN 1195-5449. ^ Blumenthal, Dana M.; Jordan, Nicholas R.; Svenson, Elizabeth L. (2005-05-20). "Effects of prairie restoration on weed invasions". Agriculture, Ecosystems & Environment. 107 (2–3): 221–230. doi:10.1016/j.agee.2004.11.008. ^ Montoya, Daniel; Rogers, Lucy; Memmott, Jane (2012-12-01). "Emerging perspectives in the restoration of biodiversity-based ecosystem services". Trends in Ecology & Evolution. 27 (12): 666–672. doi:10.1016/j.tree.2012.07.004. PMID 22883537. ^ Pokorny, Monica L.; Sheley, Roger L.; Zabinski, Catherine A.; Engel, Richard E.; Svejcar, Tony J.; Borkowski, John J. (2005-09-01). "Plant Functional Group Diversity as a Mechanism for Invasion Resistance". Restoration Ecology. 13 (3): 448–459. doi:10.1111/j.1526-100X.2005.00056.x. ISSN 1526-100X. ^ Cleland, Elsa E.; Larios, Loralee; Suding, Katharine N. (2013-05-01). "Strengthening Invasion Filters to Reassemble Native Plant Communities: Soil Resources and Phenological Overlap". Restoration Ecology. 21 (3): 390–398. doi:10.1111/j.1526-100x.2012.00896.x. ISSN 1526-100X. ^ Firn, Jennifer; MacDougall, Andrew S.; Schmidt, Susanne; Buckley, Yvonne M. (2010-07-01). "Early emergence and resource availability can competitively favour natives over a functionally similar invader". Oecologia. 163 (3): 775–784. doi:10.1007/s00442-010-1583-7. ISSN 0029-8549. PMID 20179971. ^ Rowe, Helen I. (2010-11-01). "Tricks of the Trade: Techniques and Opinions from 38 Experts in Tallgrass Prairie Restoration". Restoration Ecology. 18: 253–262. doi:10.1111/j.1526-100X.2010.00663.x. ISSN 1526-100X. ^ Klotzli, Frank; Grootjans, Ab P. (2001). "Restoration of Natural and Semi-Natural Wetland Systems in Central Europe: Progress and Predictability of Developments". Restoration Ecology. 9 (2): 209–219. doi:10.1046/j.1526-100x.2001.009002209.x. ISSN 1061-2971. ^ McKay, John K.; Christian, Caroline E.; Harrison, Susan; Rice, Kevin J. (2005). ""How Local Is Local? "-A Review of Practical and Conceptual Issues in the Genetics of Restoration". Restoration Ecology. 13 (3): 432–440. doi:10.1111/j.1526-100x.2005.00058.x. ISSN 1061-2971. ^ Bower, Andrew D.; Clair, J. Bradley St.; Erickson, Vicky (2014-07-01). "Generalized provisional seed zones for native plants". Ecological Applications. 24 (5): 913–919. doi:10.1890/13-0285.1. ISSN 1939-5582. ^ Lawrence, Beth A.; Kaye, Thomas N. (2011-03-01). "Reintroduction of Castilleja levisecta: Effects of Ecological Similarity, Source Population Genetics, and Habitat Quality". Restoration Ecology. 19 (2): 166–176. doi:10.1111/j.1526-100x.2009.00549.x. ISSN 1526-100X. ^ "Compensatory Mitigation Methods". United States Environmental Protection Agency. 2015-08-20. Retrieved June 4, 2018. ^ HOLL, KAREN D.; HAYES, GREY F. (2006-02-27). "Challenges to Introducing and Managing Disturbance Regimes for Holocarpha macradenia, an Endangered Annual Grassland Forb". Conservation Biology. 20 (4): 1121–1131. doi:10.1111/j.1523-1739.2006.00416.x. ISSN 0888-8892. ^ a b Macdonald, David (2002). "The ecological context: a species population perspective". Handbook of Ecological Restoration. 1: 47–65. ^ Alpert, P. 2002. Managing the wild: should stewards be pilots? Frontiers in Ecology and the Environment 9(2): 494-499. ^ a b Dickens, Sara Jo M.; Suding, Katharine N. (2013-06-01). "Spanning the Science-Practice Divide: Why Restoration Scientists Need to be More Involved with Practice". Ecological Restoration. 31 (2): 134–140. doi:10.3368/er.31.2.134. ISSN 1522-4740. ^ a b Cabin, Robert J.; Clewell, Andre; Ingram, Mrill; McDonald, Tein; Temperton, Vicky (2010-11-01). "Bridging Restoration Science and Practice: Results and Analysis of a Survey from the 2009 Society for Ecological Restoration International Meeting". Restoration Ecology. 18 (6): 783–788. doi:10.1111/j.1526-100x.2010.00743.x. ISSN 1526-100X. ^ David, Erica; Dixon, Kingsley W.; Menz, Myles H. M. (2016-05-01). "Cooperative Extension: A Model of Science–Practice Integration for Ecosystem Restoration". Trends in Plant Science. 21 (5): 410–417. doi:10.1016/j.tplants.2016.01.001. ISSN 1360-1385. PMID 26838476. ^ Burbidge, Allan H.; Maron, Martine; Clarke, Michael F.; Baker, Jack; Oliver, Damon L.; Ford, Greg (2011-04-01). "Linking science and practice in ecological research and management: How can we do it better?". Ecological Management & Restoration. 12 (1): 54–60. doi:10.1111/j.1442-8903.2011.00569.x. ISSN 1442-8903. ^ a b Cabin, Robert J. (2007-03-01). "Science-Driven Restoration: A Square Grid on a Round Earth?". Restoration Ecology. 15 (1): 1–7. doi:10.1111/j.1526-100x.2006.00183.x. ISSN 1526-100X. ^ Duc, M. G. Le; Pakeman, R. J.; Marrs, R. H. (2003-06-01). "Changes in the rhizome system of bracken subjected to long-term experimental treatment". Journal of Applied Ecology. 40 (3): 508–522. doi:10.1046/j.1365-2664.2003.00818.x. ISSN 1365-2664. ^ Erskine Ogden, Jennifer A.; Rejmánek, Marcel (October 2005). "Recovery of native plant communities after the control of a dominant invasive plant species, Foeniculum vulgare: Implications for management". Biological Conservation. 125 (4): 427–439. doi:10.1016/j.biocon.2005.03.025. ^ Bernhardt, Emily S.; Sudduth, Elizabeth B.; Palmer, Margaret A.; Allan, J. David; Meyer, Judy L.; Alexander, Gretchen; Follastad-Shah, Jennifer; Hassett, Brooke; Jenkinson, Robin (2007-09-01). "Restoring Rivers One Reach at a Time: Results from a Survey of U.S. River Restoration Practitioners". Restoration Ecology. 15 (3): 482–493. doi:10.1111/j.1526-100x.2007.00244.x. ISSN 1526-100X. ^ a b Young, Truman P (2000). "Restoration ecology and conservation biology". Biological Conservation. 92 (1): 73–83. CiteSeerX 10.1.1.493.1604. doi:10.1016/s0006-3207(99)00057-9. ISSN 0006-3207. ^ Allen, Craig D (2002). "Ecological restoration of southwestern Ponderosa pine ecosystems: A broad perspective". Ecological Applications. 12 (5): 1418–1433. doi:10.1890/1051-0761(2002)012[1418:EROSPP]2.0.CO;2. ^ Harris, J. A. (December 2003). "Measurements of the soil microbial community for estimating the success of restoration". European Journal of Soil Science. 54 (4): 801–808. doi:10.1046/j.1351-0754.2003.0559.x. ISSN 1351-0754. ^ Paterson, Owen (27 November 2012). "Owen Paterson's speech to Royal Society on Natural Capital Committee". gov.uk. Retrieved June 4, 2018. ^ "Restoration Ecology", SER. Accessed: September 14, 2015. ^ "Ecological Management & Restoration", John Wiley & Sons. Accessed: September 14, 2015. ^ "Ecological Restoration", University of Wisconsin Press. Accessed: September 14, 2015. Novacek, M.J. & Cleland, E.E. (2001). "The current biodiversity extinction event: Scenarios for mitigation and recovery". Proceedings of the National Academy of Sciences 98 (10), 5466-5470.